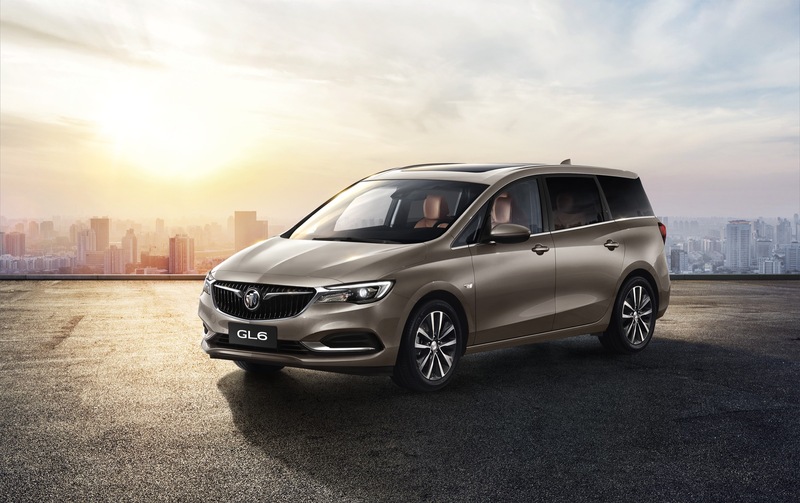 General Motors’ Buick brand today launched the GL6 multi-purpose vehicle in China – a stylish new compact minivan with seating for six that slots in below Buick GL8. Power comes from GM’s new dual-injected, 1.3T Ecotec inline-four, capable of producing up to 120 kW and 230 Nm (roughly 160 hp and 170 lb-ft). 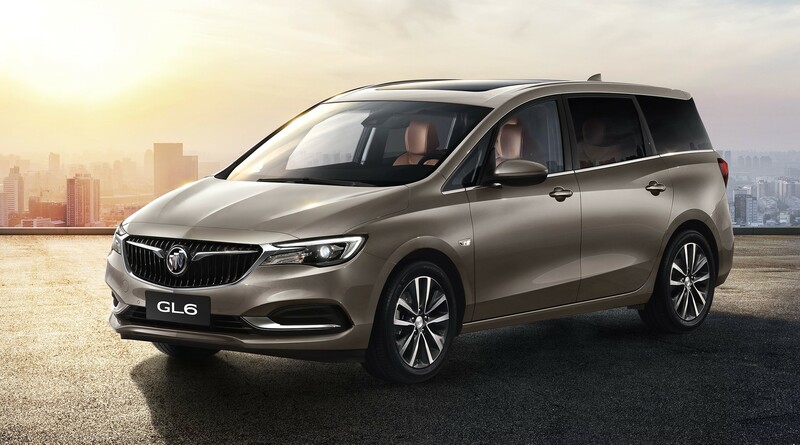 Combining the “aesthetics of a sedan with the flexibility and functionality of an SUV, and the comfort of an MPV,” according to a release, China’s new Buick GL6 MPV promises to meet the needs of today’s families with its 2+2+2 seating configuration, flexible cabin, and advanced technologies. That flexibility is delivered in part by a 279.6-mm (110-inch) wheelbase, securing impressive second-row headroom and legroom with the same independent seats as its larger GL8-badged sibling. Those seats can slide forward or rearward up to 21 cm (8.25 inches), and the inclination of the backrests can be adjusted by up to 30 degrees. 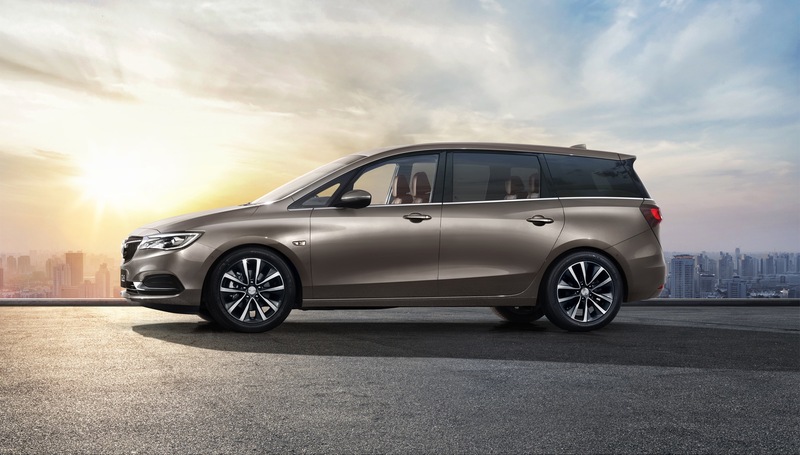 Further flexibility in the new Buick GL6, which is based on the GM-PATAC K platform, is delivered by the fold-flat second- and third-row seating, affording users accommodation for up to six occupants when they need it, and loads of extra storage when they don’t. Third-row seats are integrated into a bench with a tall and thick backrest, again ensuring good comfort. 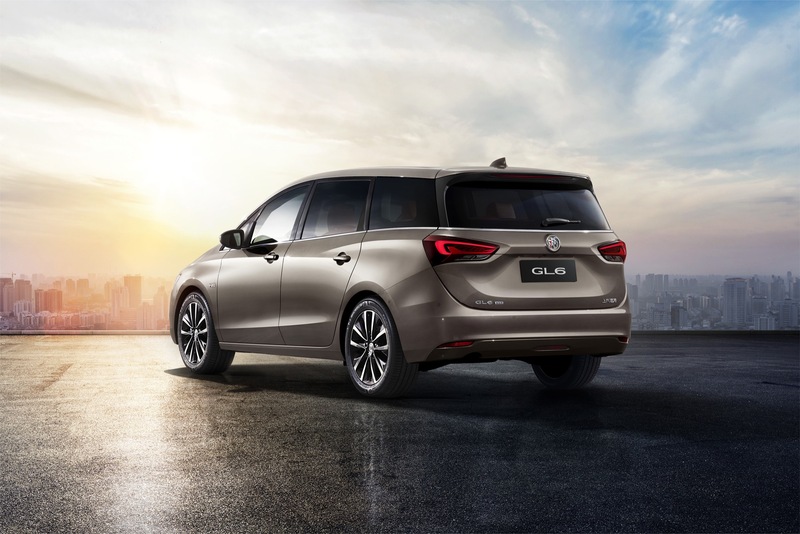 A large panoramic sunroof, infotainment with Apple CarPlay and Baidu CarLife support, and AutoNavi satellite navigation with real-time road condition updates constitute the Buick GL6’s list of major high-tech and premium features. It boasts the latest in cloud-based natural voice recognition system to accept spoken commands and queries. 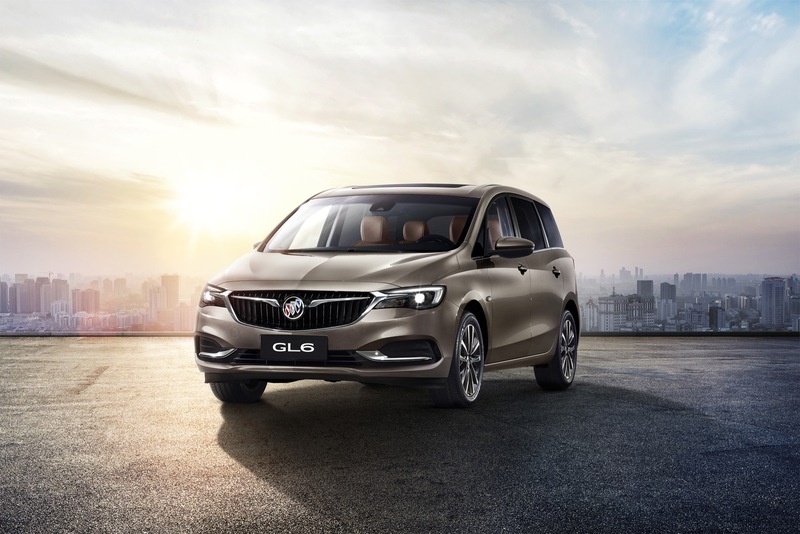 The all-new Buick GL6 comes in three variants, with pricing between RMB 144,900 and RMB 166,900 – about $22k and $25k American. Previous story Will GMC Get A Version Of The Upcoming Chevy Medium Duty Trucks? What platform is this vehicle based on? Reasonably certain it’s loosely based on an Opel / Vauxhall Zafira (C) Tourer. If that’s correct, then it’ll be based on Delta II. The Delta II platform is old, why on Earth would GM use an old platform to introduce a new car? The D2XX platform has succeeded the Delta II platform. The current Chevrolet Cruze rides on the D2XX platform. If I was in the market for a minivan, I would definitely not touch this product based on principle alone. How very cheap of GM to do this. Do you live in China? Are you Chinese? Can you speak for the car buying person in the Chinese market? 99.999999% of people purchasing a vehicle don’t even know what platform they are built on. People purchase a vehicle on emotion, looks, or function. Good for GM for squeezing some life out of a platform that has been around for a little while. Did you read my last comment at all or are you dealing with yourself as your username states? I clearly said that it was my opinion not to touch this vehicle fool. “The Delta II platform is old, why on Earth would GM use an old platform to introduce a new car? The D2XX platform has succeeded the Delta II platform. The current Chevrolet Cruze rides on the D2XX platform. And the above is your last comment. Where did you “clearly say” it was your opinion? As my username states……FOOL! That is still part of my opinion. Fool. If it’s none of my business what GM does, it certainly isn’t any of your business how I critique GM. Clowns seem to be everywhere in this forum. Don’t reply back fool. “I clearly said that it was my opinion” Ha Ha nice try. If you are going to argue a point make sure you…..
B. When you resort to name calling make sure you quote yourself correctly. (you are the one coming off as a fool). Anytime someone says “I” it is part of their opinion until proven fact. Better luck next time, kid. What is wrong with you? You can’t take some criticism without name calling? BTW I’m a lawyer and if someone tells me , “I did it”. That is not opinion. So your letter “I” defense doesn’t stand up. Also, a KID told me that EVA-01 is a Japanese cartoon. My username is just a scramble of of letters and such, I don’t want my real name out in the open. I won’t take baseless criticism. Then that “I” is used in a different context. I bet its based on the Chevrolet Enjoy, a version of the Suzuki Super Carry. This is based on the Wuling design, a Chinese version of the Suzuki Super Carry. I wonder what it would take for GM to sell this vehicle in the US? I believe that it would be a success if all the emissions/safety standards could be met. It has a lot of desirable features. Not terribly attractive, for starters. Not sure where this would fit in to Buick’s US lineup – you have Encore, Envision and Enclave. The GL6 strikes me as a CUV Verano (for the US). Maybe it fills a need in China? I wouldn’t rush this one to market in the US. Not yet, anyway. Agree, certainly by Western standards. But when you see the competition it’s up against in China, the GL6 looks like the Mona Lisa on wheels. 160 hp from a 1.3T, more powerful than the 1.4T or 1.5T. MAGA, Cancel the last two American made Buicks and import them all from China! Or Korea, Or Poland, or Germany. It can’t get any worse.